Sanders Nemesis to Air TV Ad Bashing Wife's "Golden Parachute"
As Sen. Bernie Sanders (I-Vt.) travels the country to gauge interest in a presidential campaign, a longtime nemesis is attacking him back home. Gasoline distributor and retailer Skip Vallee, a prominent Republican fundraiser, has produced a 60-second television advertisement accusing Sanders of hypocrisy for railing against "golden parachutes" while benefiting from one himself. The ad notes that the senator's wife, Jane O'Meara Sanders, received a $200,000 severance package when she stepped down as president of the now-financially struggling Burlington College in October 2011. Vallee distributed the ad to Vermont reporters Wednesday morning and plans to air it on local television stations starting Thursday morning. He says he's already invested $10,000 in a weeklong run on WCAX-TV, adding, "That's just the initial buy." "I think the ad makes a point that I think the mainstream media should be making: Bernie is going to run on a theme of railing against golden parachutes and excesses, which is going to be a tough thing to do when he took his own golden parachute," Vallee says. Sanders' spokesman, Michael Briggs, responded to the ad by calling Vallee "pathetic" and a "junior varsity version of the Koch brothers." Briggs said the senator "will not be intimidated by a millionaire who has crawled into the gutter and bought TV ads attacking Bernie's wife for a sabbatical she earned from a college where she was president for seven years." The ad features footage of Sanders speaking at New Hampshire's St. Anselm College in April, criticizing corporate leaders for outsourcing American jobs and then benefiting from tax breaks and "getting golden parachutes." "What Bernie won't tell you is that he and his wife, former Burlington College president Jane Sanders, got a golden parachute of their own," the ad's narrator says. "That's right. When she left the faltering and cash-strapped Burlington College in 2012, she took a $200,000 golden parachute with her." The narrator later calls on viewers to call the senator "and tell him to give back the golden parachute." During her seven years at the helm of Burlington College, O'Meara Sanders negotiated the $10 million purchase of a 32-acre property on North Avenue that formerly served as headquarters to the Catholic diocese. As Seven Days' Shay Totten reported at the time, O'Meara Sanders' departure was prompted by concerns from the college's board of trustees that her fundraising was not keeping pace with the college's newfound debt load. Burlington College has since defaulted on a loan it took out to finance the deal, as Seven Days' Alicia Freese reported last month. O'Meara Sanders did not immediately return a call seeking comment Wednesday afternoon. Vallee says his interest in the matter stems from a desire to see the Sanders family come to the assistance of the struggling institution. "The focus of the ad is to encourage Bernie to give the money back to Burlington College because they really need it," Vallee says. "The number is 800-339-9834. Vermonters can call Bernie's office and encourage him to do the right thing. Do you want the number again? It's in the ad, in case you missed it. It's 800-339-9834." But the two have a long and acrimonious relationship that has more to do with gasoline prices than higher education. Sanders has repeatedly criticized Vallee for prices his customers pay at Chittenden County Mobil stations. He has also accused Vallee, who owns the Maplefields chain, of using the environmental courts to block Costco from selling gas next door to a Colchester Maplefields. Vallee responded in December 2012 by producing and then airing ads accusing Sanders of siding with powerful corporations over the environment. In April 2013, Vallee sponsored another ad criticizing Sanders' support for industrial wind development. In his response to Vallee's latest ad, Sanders' spokesman reiterated the senator's complaints about the gas dealer's business practices. "What this is all about is not complicated. 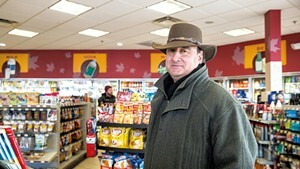 Skip Vallee has ripped off customers for years at his Burlington-area gas stations that sell the highest-priced gas anywhere in Vermont," Briggs said. "As of Monday, his gas stations in the Burlington area were charging 25 cents more a gallon than his station in Middlebury. 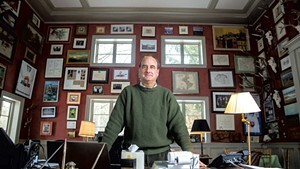 His padded profit margins consistently have put northwestern Vermont among the most expensive places in all of America to buy gas." According to Briggs, "Vallee clearly doesn’t like it that Bernie has exposed his ripoffs. He clearly doesn’t like it that other Vermont leaders are joining Bernie’s calls for real competition. So instead of treating his Vermont customers fairly, this junior varsity version of the Koch brothers is dipping into his fortune to bankroll a smear-ad campaign. How pathetic." Given Sanders' recent travels, does Vallee intend to air his ad in early presidential primary and caucus states? "I think it would be fun to run in Iowa and New Hampshire, but the purpose of the ads is to encourage Vermonters to ask Bernie to give the money back," Vallee says.